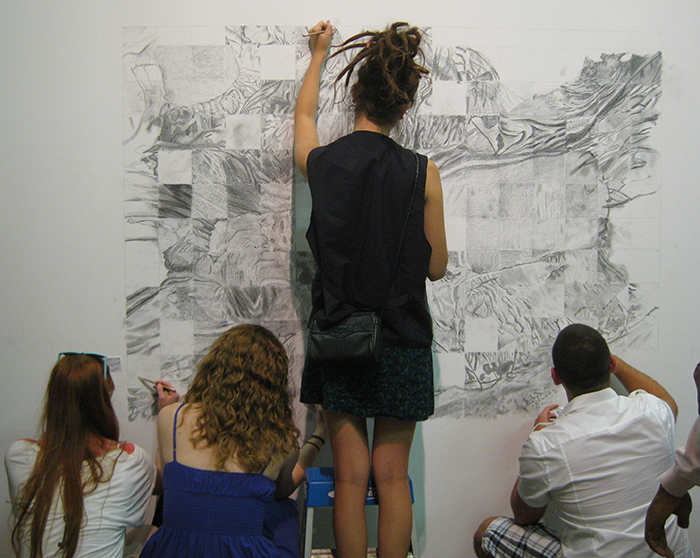 In 8 hours, visitors to Space gallery’s Drawn in a Day exhibition, recreated an original drawing I did of an evaporation pond at a hydro-fracking site in Dimock, PA. 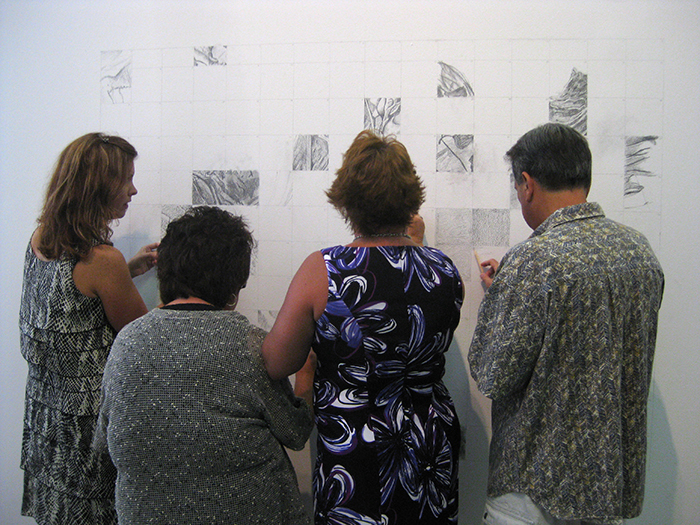 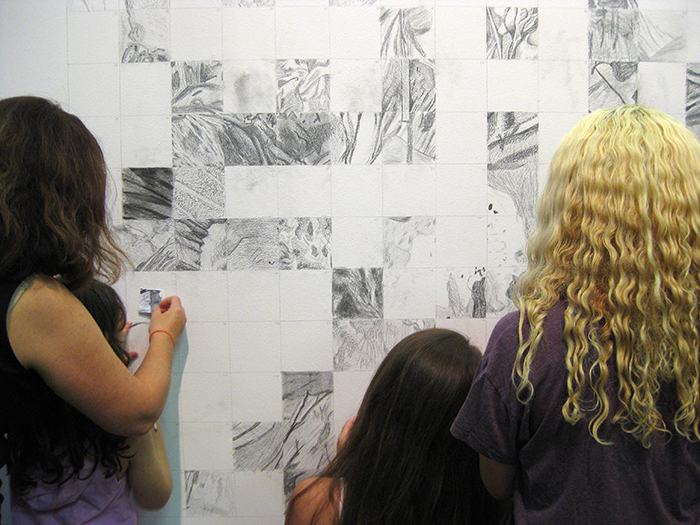 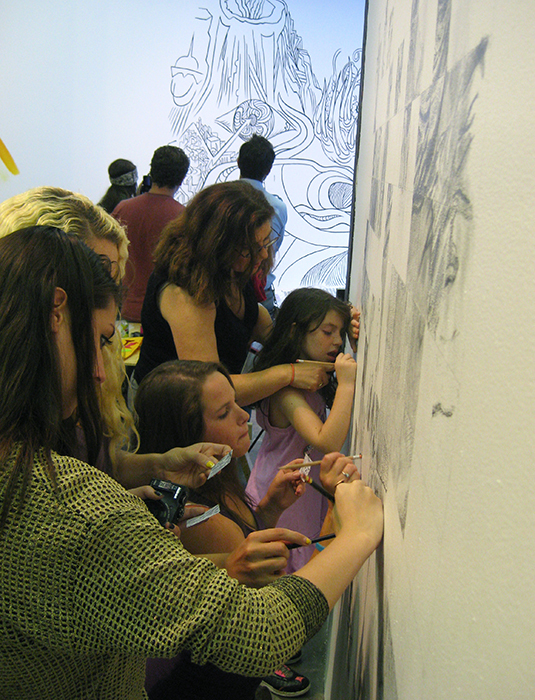 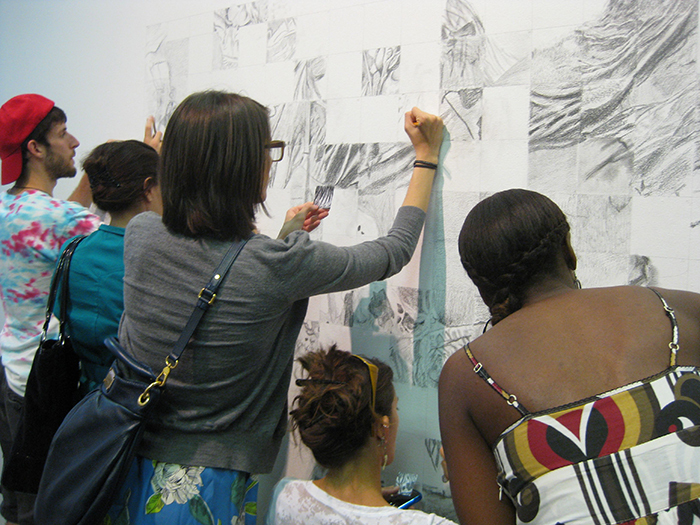 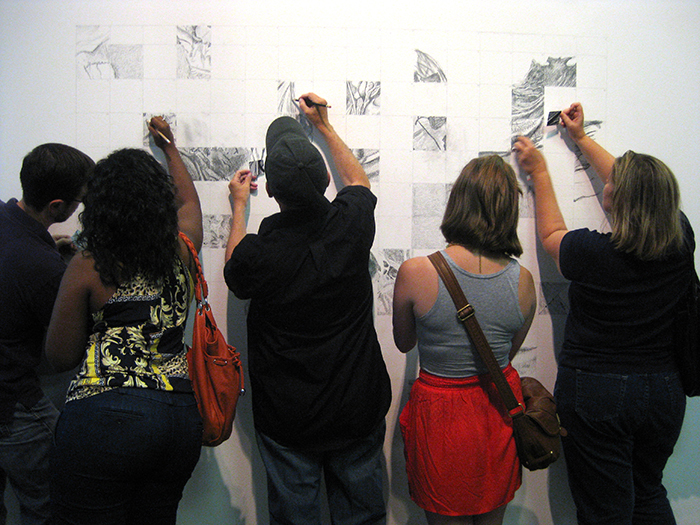 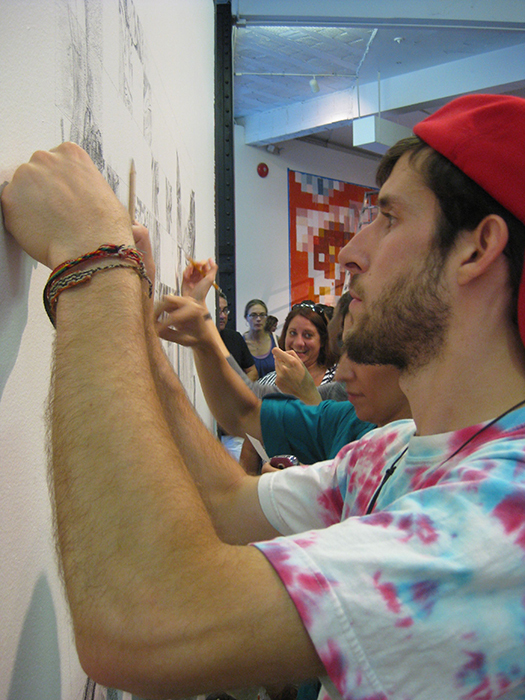 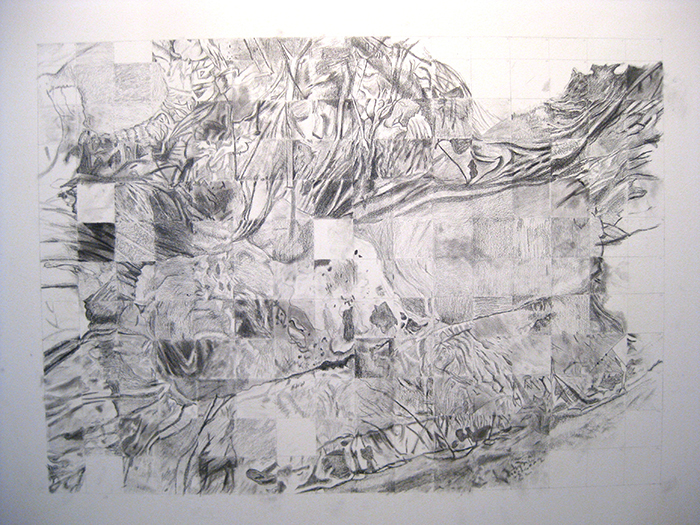 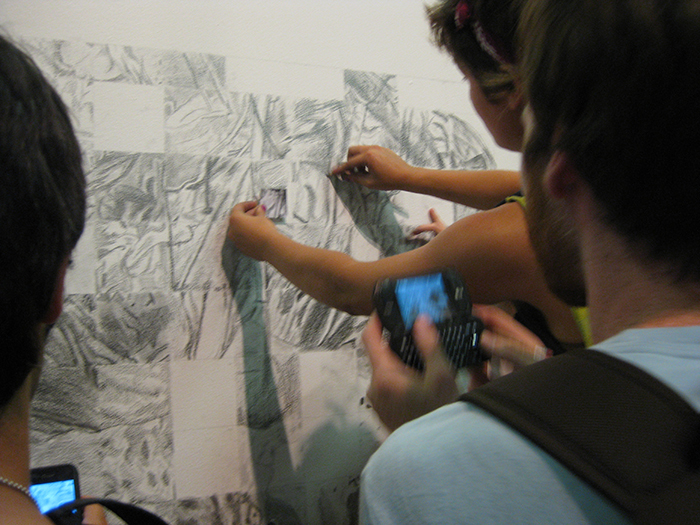 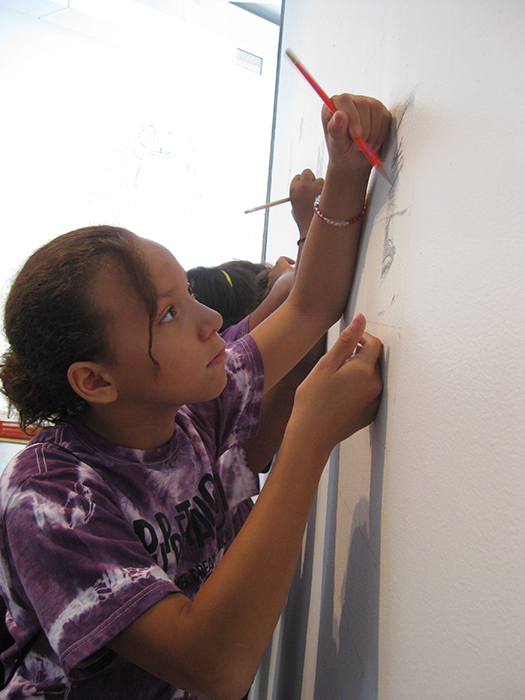 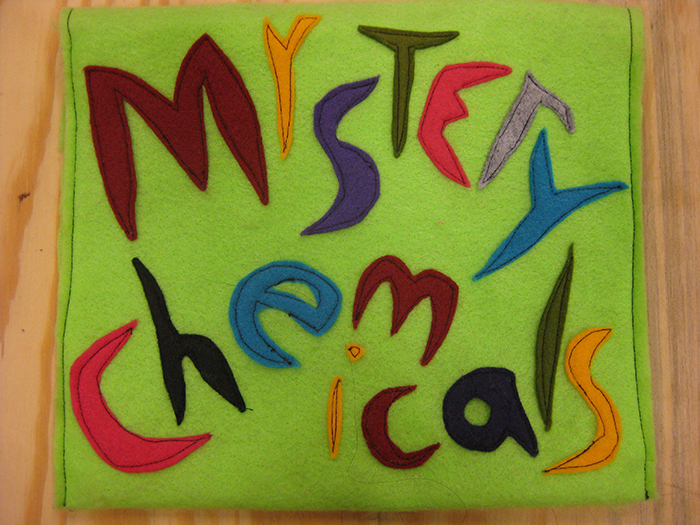 Participants drew a gridded piece of the original drawing from the “mystery chemical” bag and reproduced the shapes with pencil on the corresponding square on the wall. 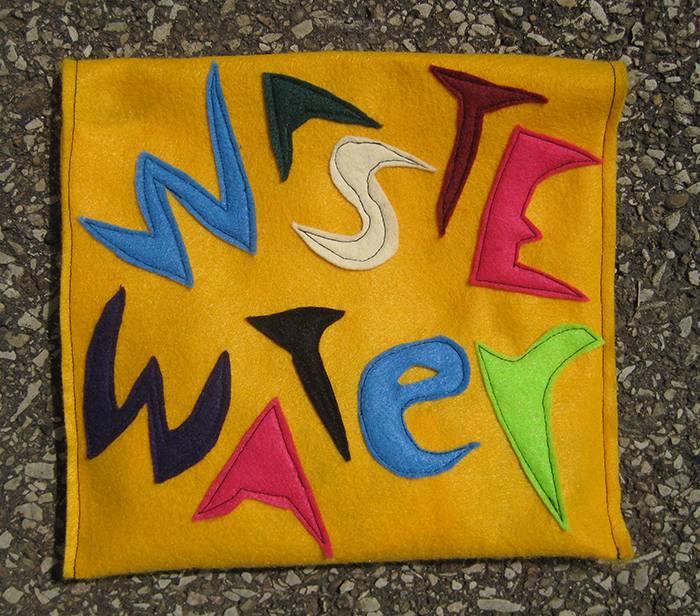 When they finished, they placed the grid card in the “waste-water” bag. 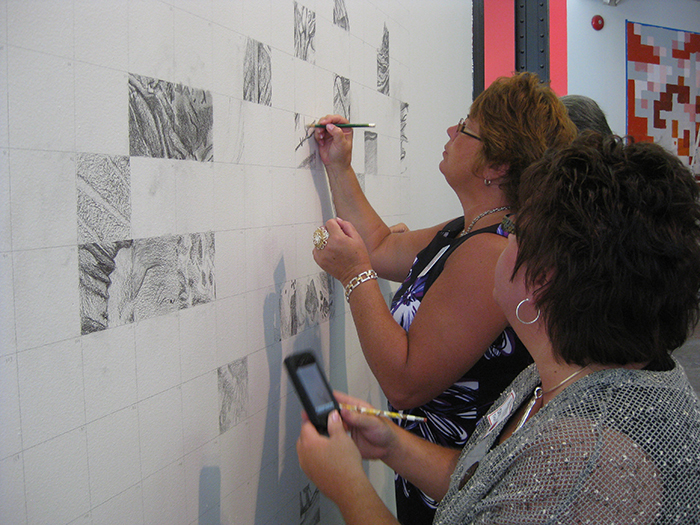 I wanted people to not only be engaged in the drawing process, but to claim the issues facing those of us who live in the heart of the Marcellus Shale.